PARLIAMENT – The speaker of parliament, Rebecca Kadaga has turned down the appointment of Moses Kasibante, Rubaga North county MP as the vice chairperson of the committee on Commissions, Statutory Authorities and State Enterprises (COSASE). Parliament through party Whips embarked on designating MPs to various standing committees in accordance with Rule 155 of the parliament Rules of procedure. 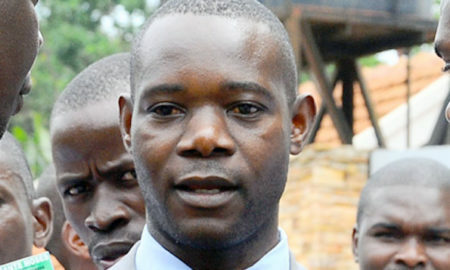 During the 6th sitting of the 3rd meeting of the 3rd session of the 10th parliament, through Kabale Municipality MP Andrew Baryayanga designated Kasibante as a member of the committee of the Appointments yet the Independent but FDC-leaning MP had late last year been appointed as COSASE vice chairperson awaiting approval of the House and the speaker who is the Whip of all independent MPs. Opposition Whip Ibrahim Ssemujju Nganda MP Kira Municipality insisted that Kasibante as COSASE vice chair. He further raised a procedural matter requesting the speaker to withdraw him from the Appointments Committee and allow him to serve on COSASE but the speaker refused to accept Ssemujju’s plea and insisted that Kasibante will remain at the Appointment Committee. This leaves the opposition with no option but rather to go back and identify another COSASE vice chairperson.